Each year, Monterey Jazz Festival selects top students from across Monterey County to participate in middle and high school big bands, and a vocal ensemble. Led by MJF Education Director Paul Contos (High School All-Star Band) and renowned educator Dr. Rob Klevan (Honor Vocal Ensemble and Middle School Band) and Mrs. Janice Perl (Honor Vocal Ensemble), each all-star ensemble rehearses twice monthly (daily at MJF's annual Summer Camp) while working on ensemble skills--includes phrasing, blending, improvisation and rhythmic feel, while exploring a range of jazz styles. 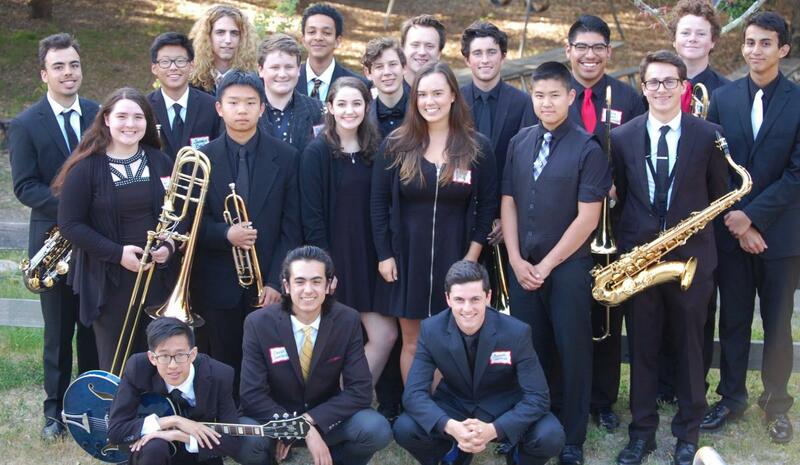 The MJF High School All-Stars also perform across Monterey County, at the Next Generation Jazz Festival, and far beyond, testing their chops on the bandstand while bringing great music to the community. In summer 2015, the high school ensembles traveled to Washington D.C., where they performed at the Kennedy Center, the National Archives, and the Bohemian Caverns jazz club.